The Suisun-Fairfield Depot was one of two dozen “colonnade-style” stations erected by the Southern Pacific Railroad and is the only one remaining in Solano County. Originally constructed in 1914, the building had undergone several previous additions and alterations. Interactive Resources, working with the City of Suisun City and the Solano Transportation Agency, prepared a conceptual design study, construction documents and the Caltrans historic compliance documentation. 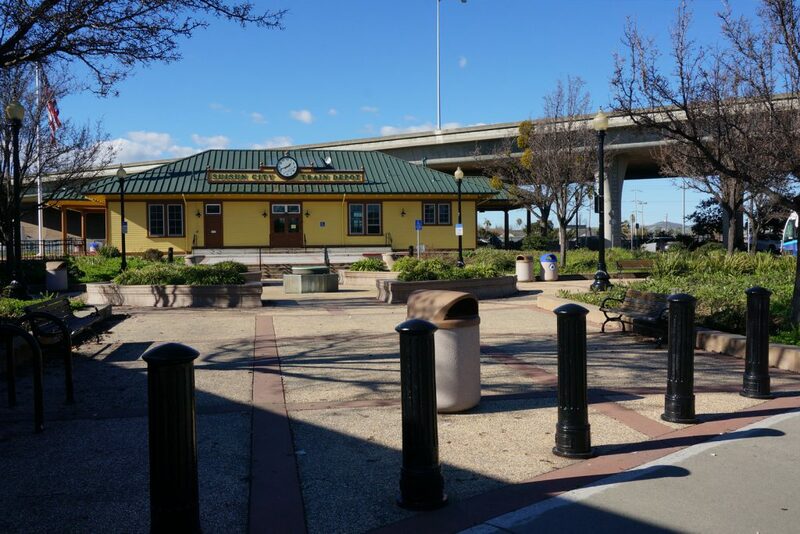 The goal was to improve the depot and its surroundings, provide ADA accessibility improvements, and to create a gateway to Old Town Suisun City. The project design was completed in compliance with the Secretary of the Interior’s Standards for Treatment of Historic Properties, and the work included: a return to the original Southern Pacific color scheme, the installation of new windows, the design of improved building access, numerous interior and exterior upgrades such as new signage and period-appropriate lighting and refurbished accessible restrooms. The depot now provides improved conditions for Capitol Corridor commuters and once again serves as a landmark building for the City of Suisun City.